Today, Oxenholme is the only village on the main West Coast line with a station. 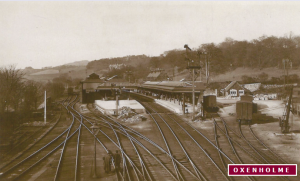 The station at Oxenholme was opened in 1846 when both the first stage of the Lancaster & Carlisle Railway and the first stage of the Kendal & Windermere Railway were opened. 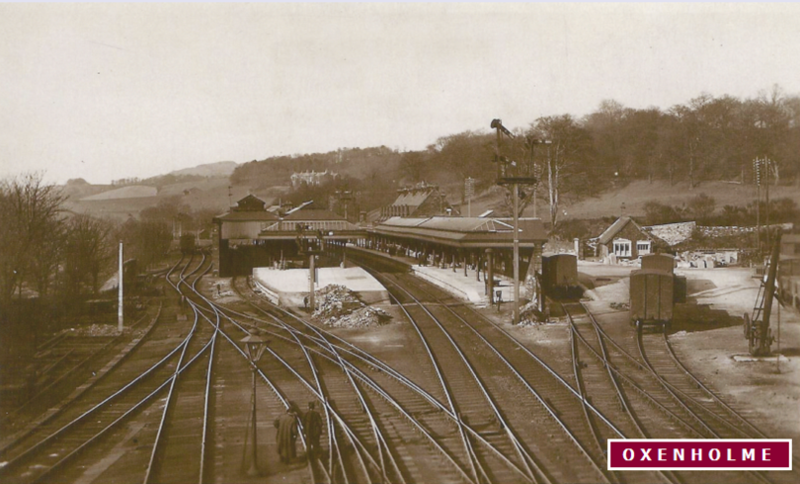 Initially it was known formally as ‘Kendal Junction’ but the more familiar ‘Oxenholme Station’ came into use c. 1860. The original station building was designed by architect William Tite, better known for building the Royal Exchange in London (1840), who later became an MP and was knighted. The station was completely rebuilt in 1881 when the level crossing was replaced by the pedestrian subway and road bridge. If you know of any others, please email us. When the station was rebuilt in 1881, it included Refreshment Rooms. When the station was rebuilt in 1881, it included five cottages. With special thanks to John Bateson for information on past Station Masters.